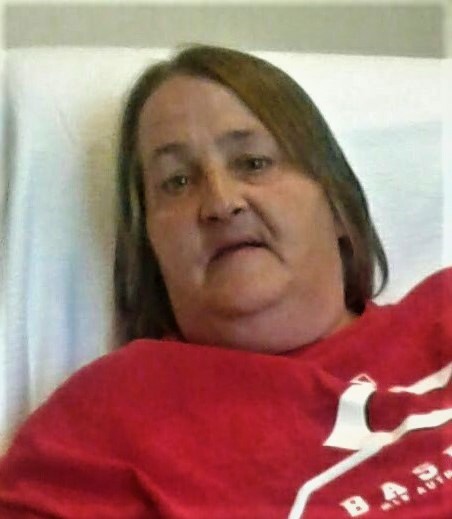 Regina L. "Jeanie" (Turner) Tice 59, of Aurora, Indiana, passed away Friday, April 12, 2019 in Cincinnati, Ohio. She was born September 7, 1959 in Dearborn County, IN, of the late Harry Turner and Evelyn (Morehead) Turner. Jeanie loved playing Bingo, and cooking (She was an excellent cook), She was an avid Kentucky Wildcat basketball fan. Jeanie's fur babies were Baby Girl and Bruno. Jeanie was often heard saying her favorite phrase.....Really? Regina is survived by her fiancée James Harvey, siblings, Patricia Turner of Aurora, IN, Eddie (Tammy) Turner of Lawrenceburg, IN, Richard Turner of Aurora, IN, Donald Turner of Tampa, FL, Albert Turner of Aurora, IN, Harry Turner of Aurora, IN, Johnny Turner of Patriot, IN, Pam Bradley of Lawrenceburg, IN; nephews and nieces, Georgia (Leon) Tice, Amy, Eric, Robbie (Megan Alvey) ,Brent, Corey, Brittney, Catherine, Jennifer, Eric, Brian, Little Johnny, Billy, Steven, Andy, Heather and Carolina Turner, David Bradley, Teddy Hussung, & Angela Bradley. She was preceded in death by Father, Harry Turner, Mother, Evelyn L. Turner, twin brother, Frank Edward Turner. Friends will be received Wednesday, April 17, 2019, 11:00 am - 2:00 pm at the Rullman Hunger Funeral Home, 219 Mechanic Street, Aurora, Indiana. Services will be held at the Funeral Home, 219 Mechanic Street, Wednesday April 17, 2019 at 2:00 pm. Interment will follow in the River View Cemetery, Aurora, Indiana. Contributions may be made to the Funeral Expenses. If unable to attend services, please call the funeral home office at (812) 926-1450 and we will notify the family of your donation with a card.